The first issue of The Gates of Misery has officially arrived! 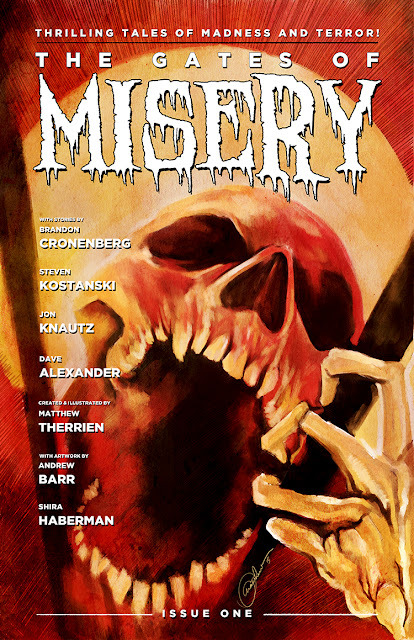 After a successful crowdfunding campaign during the fall of 2014, horror fans are now able to read the first issue of a new horror anthology from creator and illustrator Matthew Therrien (best known for his previous work on Steven Kostanski’s MANBORG comic). The Gates of Misery is a horror anthology that contains stories from some of the most creative and imaginative horror writers and filmmakers in the industry. The first issue features stories by Brandon Cronenberg (Antiviral), Steven Kostanski (Manborg, ABCs of Death 2, and the upcoming feature The Void), Jon Knautz (The Shrine, Jack Brooks: Monster Slayer), and Dave Alexander (award winning filmmaker and the current editor of Rue Morgue Magazine). Therrien, like many horror fans who grew up with classic horror comics from the 60s and 70s, wanted to make something equally as exciting for today’s modern horror reader. 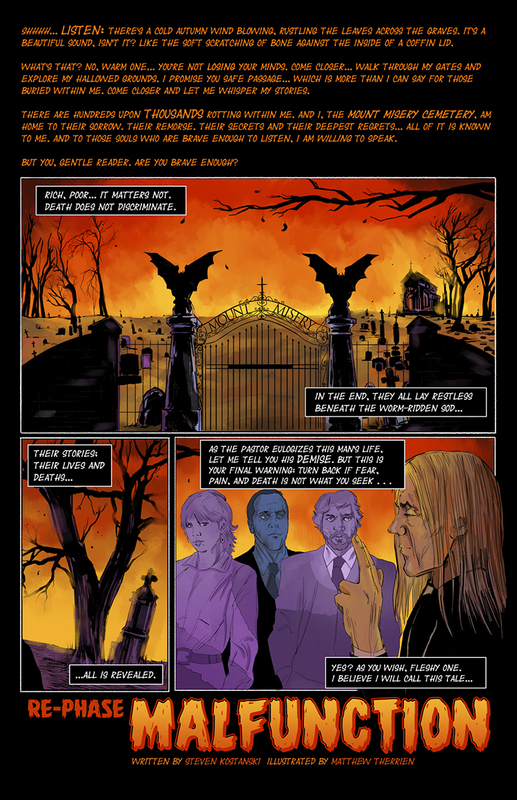 The idea was simple: allow horror writers and filmmakers – many of whom have never written for comics before – the chance to create their own 6 page horror stories. With no budget restrictions (one of the benefits of telling stories in a graphic format like this), the writers were free to create anything they desired; whatever they chose to pull from the depths of their nightmarish minds. These stories were then brought to life with artwork from Therrien himself, as well as Toronto artists Andrew Barr, Shira Haberman, and Trevor Henderson.